news Following both protests over privacy and the failure of the Census website on 9 August, the Australian Greens have said they plan to introduce legislation aimed to ensure that people “acting to protect their privacy” and unable to complete the census will not be fined. The party further aired plans to prevent the ABS from “entrenching” individual ‘linkage keys’ that track every citizen for their lifetime. “The ABS [Australian Bureau of Statistics] and the government have ignored expert warnings for months, acted dismissively over the concerns people raised, and find themselves on the eve of the census facing widespread civil disobedience as people act to protect their own privacy,” said Australian Greens Co-Deputy Leader and Communications Spokesperson Senator Scott Ludlam on 9 August. “Given that once again this government has failed to stand up for the privacy of Australians, it is clear they can not be trusted to protect people, so people have felt compelled to take action. No-one should be punished for that,” he said. Without a “fundamental” change in the approach of the ABS, the Co-Deputy Leader said, the Greens will introduce amendments to the Census Act to ban the creation of linkage keys that would transform the census from a “once every five years snapshot of Australia into lifetime surveillance”. “It was only by conducting an unaccountable internal process and a sneaky pre-Christmas announcement that the ABS was able to persuade itself that this was a good idea,” said Ludlam. “Now the integrity of the census itself is on the line. “Australians deserve better from their government and their government departments. We’re aiming to get these amendments debated [when Parliament returns] so that future governments cannot fail Australians in this way ever again,” he said. 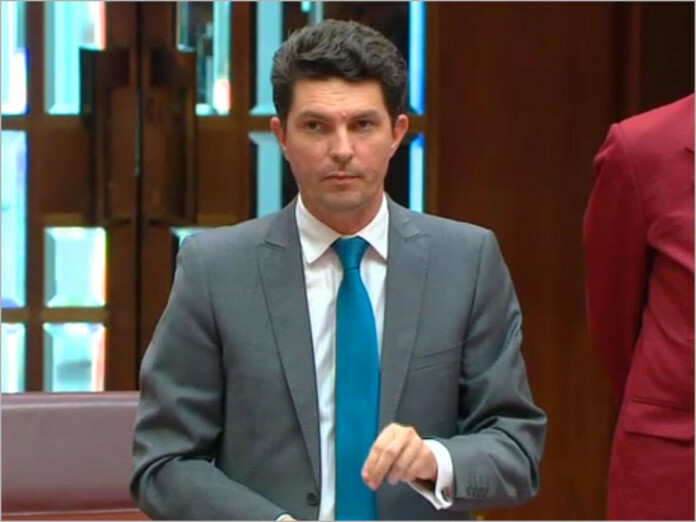 Ludlam also suggested the Government should be “seeking a refund” from the company that undertook load-testing on the ABS servers, which he said “appear to have collapsed under the weight of people attempting to complete the document online”. The ABS has since conceded that an increase in traffic on Census night, along with a distributed denial of service (DDoS) attack and a hardware failure, caused the system to be taken offline as a precaution. The Greens have called on the ABS to “immediately confirm” no fines will be levied on those “unable” to complete the survey. The ABS said that Australians have “plenty of time” to complete the Census, with the closing date being 23 September. It added that fines “will not be imposed for completing the Census after Census night”. Nick Xenophon, Independent Senator for South Australia, and others, have said they would refuse to provide name details in the Census over privacy concerns, despite the risk of prosecution the protest will bring. The concerns centre around the perceived risks of the ABS’s plan to keep personal data such as names and addresses for four years. The statement that “…the ABS’s plan to keep personal data such as names and addresses for four years”, is actually incorrect. The names and addresses will be retained FOREVER in encrypted form, and used as identifiers across a range of government services, and for any future Census. It is just the names and addresses in unencrypted form that will be deleted after 4 years. This is what people are angry about, and want to stop.